OTOTO WINS BEST JAPANESE RESTAURANT IN DENVER – 3 YEARS IN A ROW! 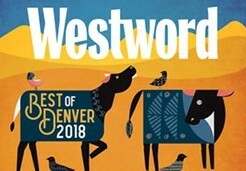 We are honored and grateful to announce that OTOTO has been named “Best Japanese Restaurant” in the 2019 Westword “Best of Denver” awards! Come see why. Make a reservation today. Roof Top Party Benefit – Thanks & Video! Kumamoto Castle Benefit Party by Sushi Den, Izakaya Den and OTOTO on Pearl Street in Denver, Colorado. After damage from a significant earthquake in 2016, the Kumamoto people are rebuilding the Kumamoto Castle. It is considered to be among the top 3 castles in Japan. It could take up to 20 years and 240 million dollars to rebuild. We are pleased to announce that OTOTO is open for Sunday Brunch! From 11:30AM-2:30 PM every Sunday, you can get all your OTOTO favorites! OTOTO is also open on Sunday nights from 4:30pm-5:30pm/Happy Hour and also 5:30pm-9:00pm/Regular Hour. “In Japanese, “OTOTO” means younger brother. This is the name of the newest addition to Chef Toshi Kizaki’s portfolio of Japanese restaurants in Denver. Matching food and sake is similar to matching food and wine. Pairing sake and food should also be fun. The object of the pairing is to enhance both the food and the sake. No match is perfect, and in the end, it is a matter of what you like. Sake is truly a versatile beverage which suits many of the world’s cuisine regardless of ingredients or the preparation method.